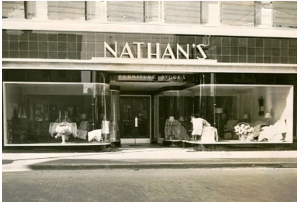 As we celebrate the 25th anniversary of the Nathan of Dorchester, two questions come to mind: first, Did the Nathan fulfill its mission to promote an increase in tourism, economic development, and community pride in the city of Cambridge? 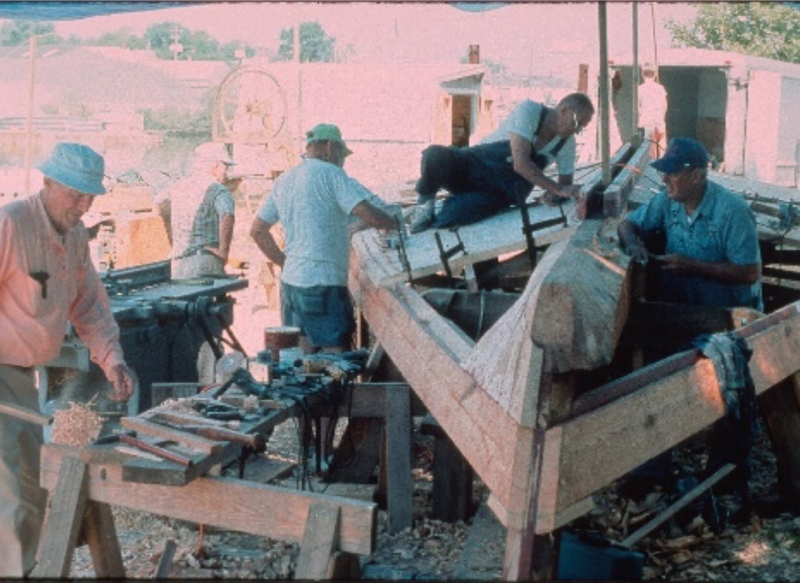 The second question is, Did the operation of the Nathan of Dorchester, from its construction at Generation III boatyard to the hundreds of sails in and around the Choptank River and Chesapeake Bay help to preserve the rich maritime heritage of the Dorchester County? The answer to both questions is a resounding “Yes”. The Nathan has been a floating ambassador for the City and County, and has brought economic development and recognition to Cambridge. 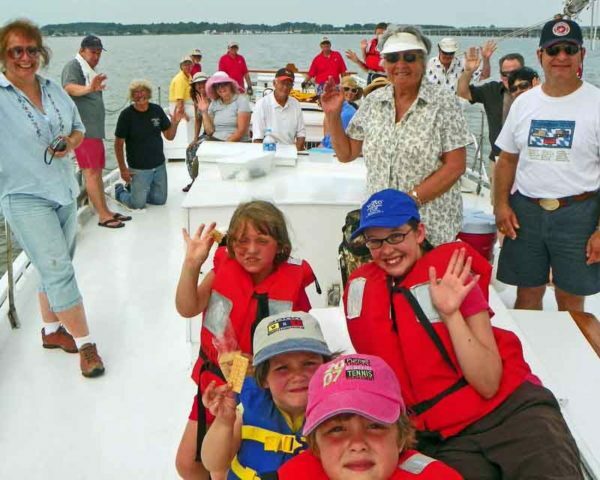 Hundreds of tourists come each year to sail on the Nathan and to learn about skipjacks, the oysters, Maryland’s state boat and its maritime history. She sailed on the breeze with the greatest of ease. From hoisting the sails to filling the pails. We had a good time on her, the Nathan of Dorchester. 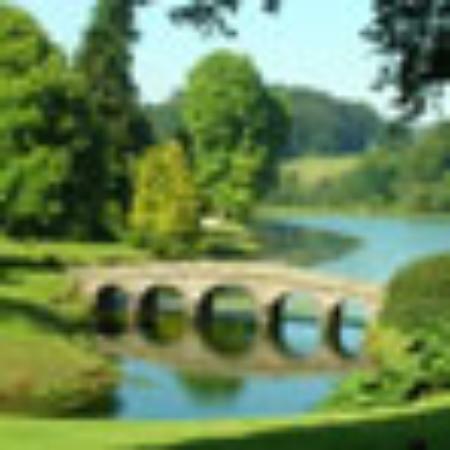 Another passenger wrote, “I had seen the Nathan moored at the Cambridge Marina. I also had picked up a brochure at a street fair years ago, and thought it would be a nice outing for my family or friends. It’s great that the Skipjack Committee has decided to preserve this part of the history of the Eastern Shore. Thank you. Without a doubt, the Nathan of Dorchester has touched the lives of many people who sailed on her. 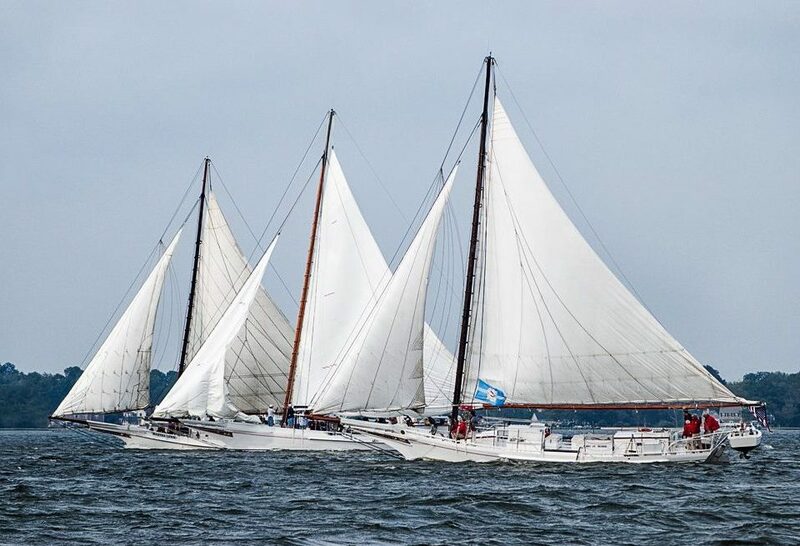 The fact that the Nathan’s public sails are full almost every time she leaves the dock is a testament to an increase in tourism and in turn an increase in revenue for the city of Cambridge and Dorchester county. 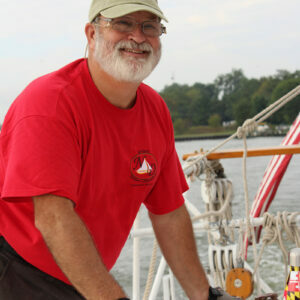 The Nathan has been a floating ambassador for Cambridge, visiting cities up and down the Chesapeake Bay: Annapolis, Baltimore, Crisfield, Deal Island, Havre deGrace, Oxford, Rock Hall, Solomon’s Island and St. Michael’s to name a few. The Nathan, however, is more than just a skipjack or another reminder of days gone by. 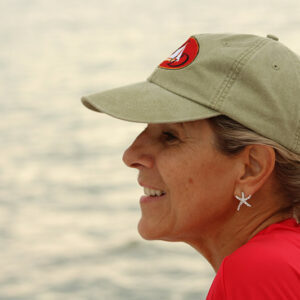 The Nathan has opened eyes to the magnificence of the Choptank River and the Chesapeake Bay. 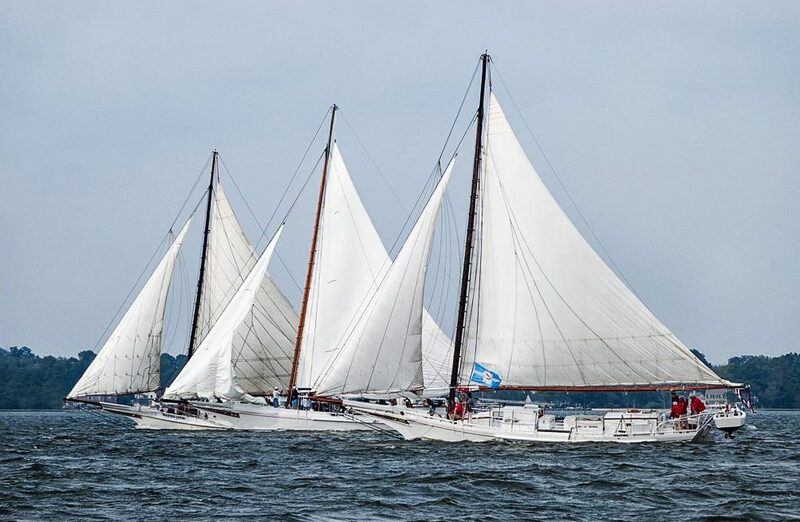 The president of the Skipjack Committee wrote: “The Nathan has been a way to experience the beauty of the Choptank River and the freedom with the wind”. The beauty and value of the Nathan is not always apparent to the many people in the community. Community support for the Nathan has dwindled over the years. Nevertheless, it is still a tool to draw tourists to the community and the diversity of passengers, the interactions with the local inhabitants, and the genuine interest of visitors is truly amazing. More than a destination site, the Nathan is an “emersive experience,” one that draws you in and sparks a vision of what life can be like when people and nature blend as one. The Nathan has been a fixture on the waterfront for 25 years now – that cool looking boat on Long Wharf. 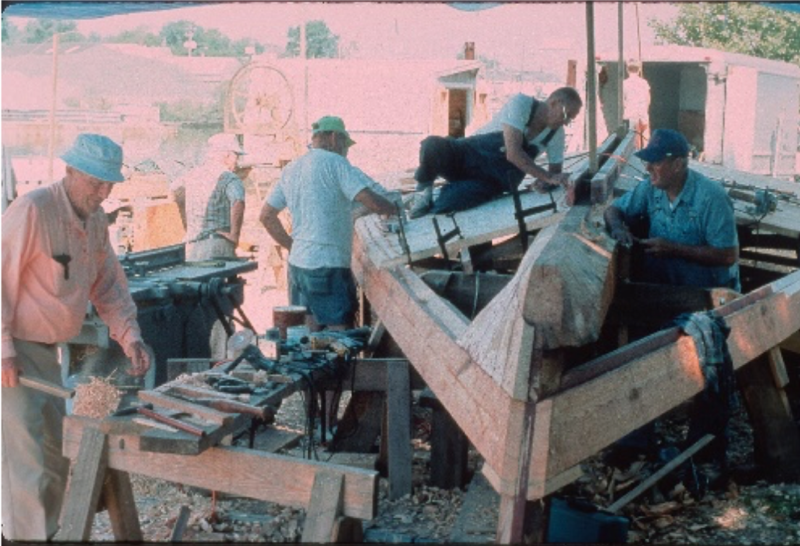 For many, seeing the boat or taking a ride on the Nathan brings back memories of fathers, grand-fathers, and great grand-fathers who sailed and worked on skipjacks back in the days. The Nathan helps keep those memories alive for the next generation. It is a way residents can show off their pride and be a part of the history of Cambridge and the Eastern Shore. 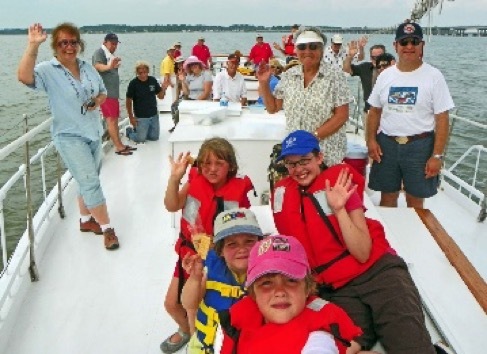 As for the next quarter century, the Nathan’s skipjack committee, captains, crew, and volunteers will stay true to the goals and dreams of the founders of the Nathan as it has been for the past 25 years. We operate the boat for the benefit of the public. 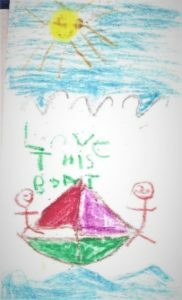 We preserve the boat for future generations as we engage in public discussions about Cambridge, the disappearing watermen’s way of life, and the changing ecology of the river. 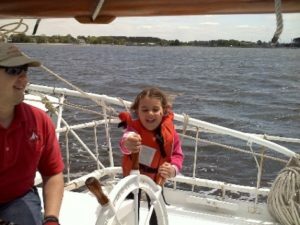 We offer visitors a waterman’s perspective of the Choptank through an onboard sailing experience. 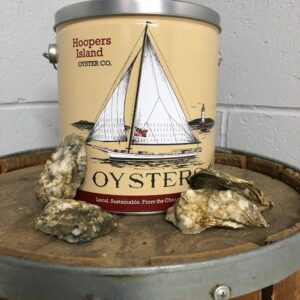 We dredge for oysters the traditional way – the way it was done a hundred years ago, and we demonstrate our love and commitment to the Nathan through maintenance, administrative work, and all the little things that are essential to keep the Nathan operational. Through the years, we have had our highs and lows in our organizational history, but one thing has always been constant: we have always been one of President Bush’s “thousand points of light”, a point of pride for Cambridge and Dorchester County, and maritime tradition that has been entrusted to us for years to come.